We worked with the staff of the R&D department of the United Kingdom Hydrographic Office (UKHO) to create the Launch Tide app, which is an iOS and Android app the UKHO designed in collaboration with the RNLI, to assist RNLI rescue staff with the provision of key tidal, weather, and sea state data, describing the current, and future conditions of their set stations and beaches. 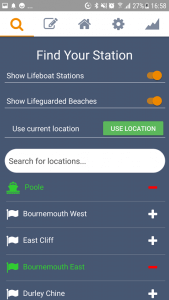 Launch Tide allows RNLI staff to register an account, search for their relevant RNLI stations and beaches, either using a text search, or through utilising the device’s GPS sensory unit, to return a list of the nearest stations / beaches which are closest to the user’s device. The user can then view and interact with the key tidal, weather, and sea state conditions, based on their current set location. 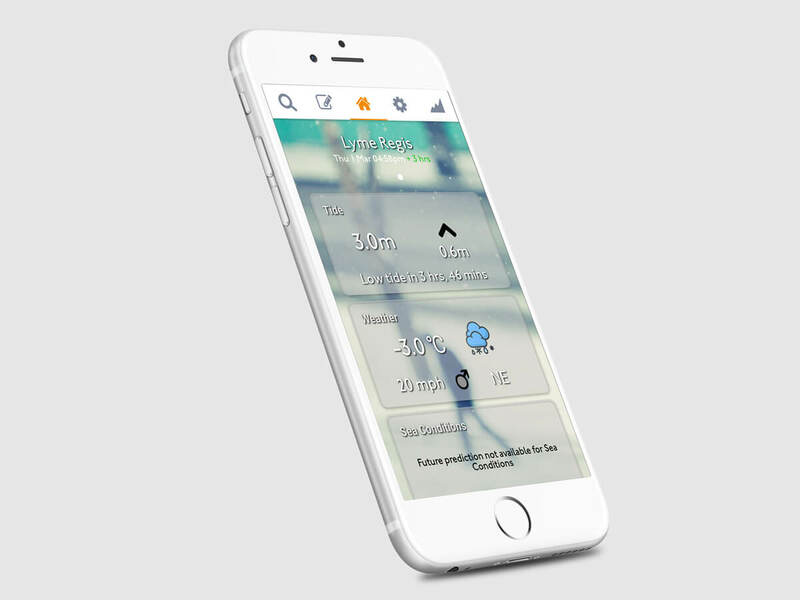 The conditions screen does what it says on the tin, it displays the following data, which provide an insight into the weather conditions at the user’s location, for the current time, and it provides a look-ahead feature, whereby if you swipe right, the data values will change to display the condition predictions in the following 3 hours, i.e. you’re looking ahead to what the conditions will be like in the next 3 hours – a potentially critical feature for ensuring the safety of the RNLI crew when on long rescues. The tide card shows the current height of the tide, the time until the next turn in the tide, i.e. high tide / low tide, as well as the expected height of the tide at the next scheduled turn. The look ahead feature is enabled for this card, allowing the user to see what the tide state will be like in the next 3 hours. The weather card shows the temperature, wind speed, and wind direction. The look ahead feature is also enabled for this card, allowing the user to see what the weather will be like in the next 3 hours. The sea state card shows the current wave height, sea temperature, and wind direction in the area, essential data for an RNLI rescue mission! The tidal prediction screen allows the user to interact with UKHO’s tidal prediction API, to browse the tidal prediction data, based on their set current location. 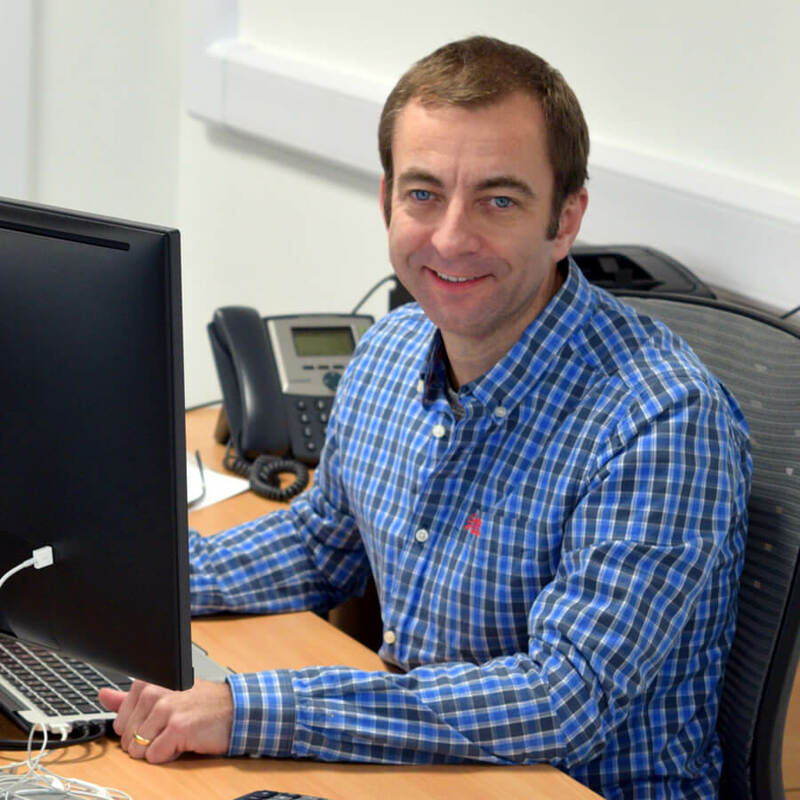 The app allows users to choose a date, which defaults to the current time, this date is then passed to two of UKHO’s tidal prediction API functions – one which returns a set of information, detailing the next 4 changes in tide (high tide / low tide). 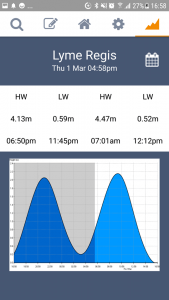 The second function from UKHO’s tidal prediction API returns a dynamically rendered PNG graph, this graph visualises the changes in tide in a graph, with the app allowing the user to pinch to zoom the image to get a close-up view of what the tide height prediction is for a given time. Changing the date using the calendar icon at the top-right of this screen will trigger the screen to automatically update with UKHO’s tidal prediction API, and therefore allows the user to seamlessly view both current and future tide predictions for their current location.